As with all our treatments, a full consultation will be completed in the strictest of confidence to ensure that the treatment is suitable for you. Reflexology is a science that teaches that every gland, organ and part of the body is reflected in the feet and hands and that by working on these areas, balance is restored to the body. It balances body systems, relaxes tension, improves blood supply and brings about relaxation. Reflexology Lymph Drainage (RLD) is an award winning reflexology technique which focuses on stimulating the lymphatic reflexes on the feet. It is a unique sequence that has been researched and developed by Sally Kay BSc (Hons), whilst working in Cancer Care. The Myofascia or connective tissue permeates the entire body, providing support and protection for the body, infusing muscles, tendons, ligaments, bones and our organic system. KCR is a series of gentle stretches, carefully crafted to quickly smoothly and often sensationally bring about postural changes that will correct the body's imbalances in young and old alike and eliminate many physical issues in the process. A deep tissue massage is designed to relieve severe tension in the muscle and the connective tissue or fascia. Deep tissue massage (also known as myofascial release) focuses on releasing the deeper myofascial restrictions of the deeper muscles, tendons and ligaments of the body. Nutrition and Lifestyle Coaching (NLC) NLC is a new discipline based on the 'Personalised’ nutrition principles and findings from fields such as: complementary therapies, functional medicine and Health and wellness coaching. Gentle massage is used to relax the Mother-to-be and a relaxed Mum increases the chances of a relaxed baby! Aromatherapy is the controlled and therapeutic use of essential oils from plant extracts. Different methods are used to enhance the well-being of the mind, body and spirit. Reiki is a Japanese technique for stress reduction and relaxation that also promotes the body's natural healing system. The Natural Lift Facial Massage involves a sequence of massage techniques which act as a natural facelift with no need of surgery. It will help you look and feel younger. Many people suffer facial tension which builds up in the facial muscles causing puffiness, lines and wrinkles. Indian Head Massage (IHM) is a massage treatment that works specifically on the areas surrounding the head, scalp and face, neck and extending to the shoulders, upper back and arms. Seichim is the original full power Tibetan system for connecting with living light energy. The feminine power of Seichim balances the masculine energy of Reiki. Seichim can completely balance and harmonise a persons physical, emotional, mental and spiritual bodies. Thai foot massage is both invigorating and deeply relaxing. It is beneficial for tired feet, improves circulation, lymph movement and flexibility in the feet and lower legs. Produces a deep and unique feeling of balance, relaxation and well being. Mix and match any two treatments for 1 hour or 1.5 hours or 2 full treatments for 2 hours. Food intolerance is a condition with a range of symptoms including gut symptoms, bloating, migraines, low mood, fatigue and skin problems. Lorisian food intolerance testing could identify your food intolerances and fast track an elimination diet to optimise your health and wellbeing. Complementary therapies can be adapted to suit everybody's needs, including those suffering with Cancer and the side effects of treatments they may be receiving. 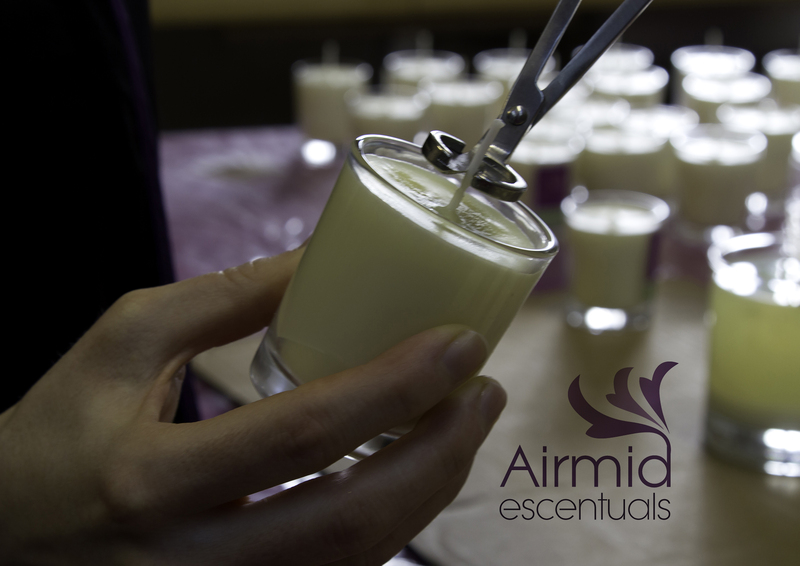 Visit our Candle Making Class for more information and to book your place. "After my first KCR session, my back felt stronger and I was able to lift and hold my 17 month old grandson for the first time in months."